Two years ago, my husband and I had the pleasure of being in Paris for spring. However, when I first booked the trip I didn't realize Easter was within our travel dates! So you can imagine how excited we were to celebrate our first holiday in Paris. 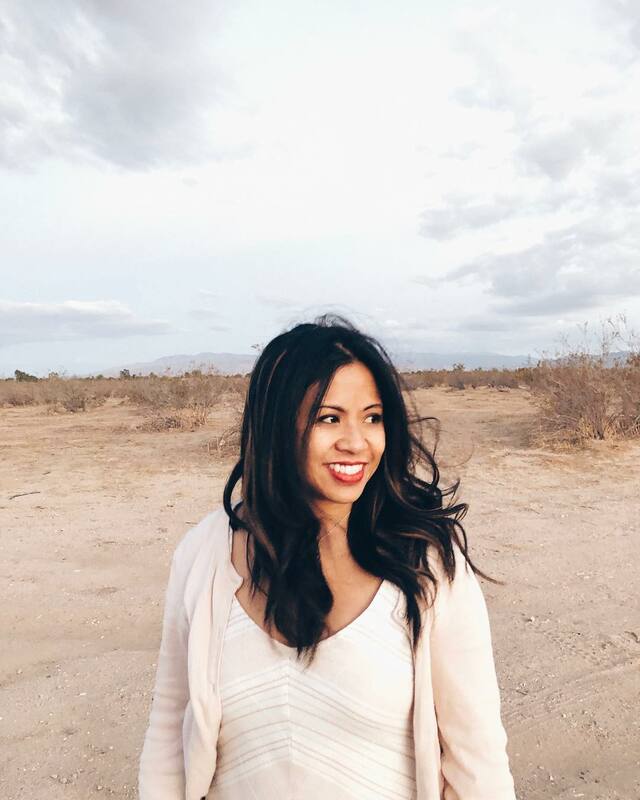 As many of you know, Easter is a religious holiday marking the resurrection of Jesus and it is one of the most celebrated holidays in France, which the French call "Pâques" (pac). 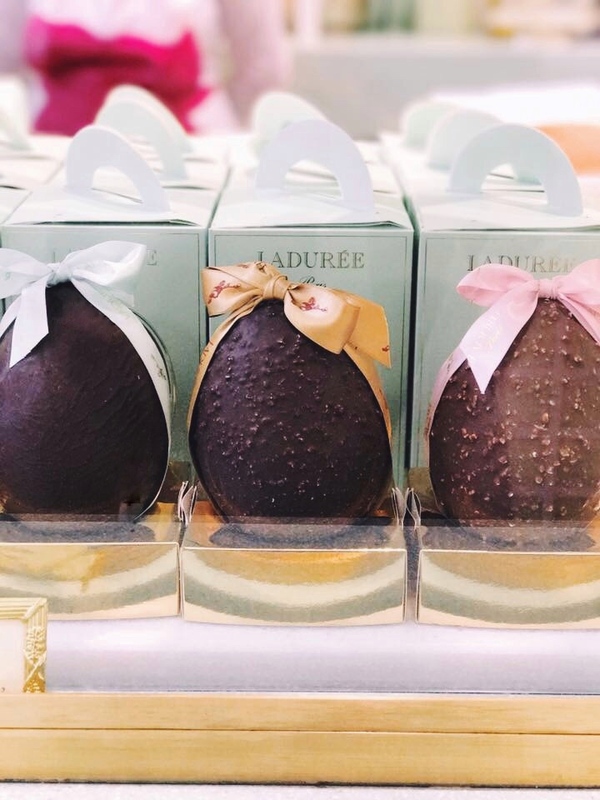 Here are some ways the French celebrate Easter. 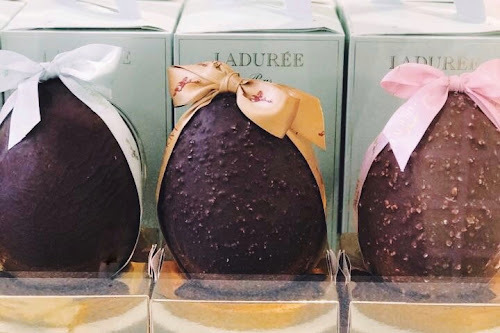 Easter celebrations in France have some French particularities as I learned while spending Easter in Paris. Traditionally in the United States the Easter bunny delivers treats to children. However, one of the things I noticed in Paris was the Easter bunny or lapin de pâques isn't as popular as it is in the United States. So who delivers the Easter treats to kids? A French tradition says the flying bells do! Yes it sounds odd, but it's quite an interesting story. From Good Friday until Easter Sunday morning, all the bells in France do not ring. As the story goes the bells grow wings and fly to the Vatican to be blessed by the Pope. On Easter Sunday, they fly back to France and drop Easter treats like chocolate eggs to well-behaved kids. Then, the bells ring loud for all to hear during Easter Sunday mass to celebrate the resurrection of Jesus. The hunt for eggs are a big part of Easter in France as it is worldwide. But how awesome would it be to hunt for eggs at a French castle? One of the most popular places for Easter egg hunting or chasse au œufs is at Château de Vaux le Vicomte near Paris. People of all ages are welcome to hunt for little chocolate treasures hidden around the French garden or jardin à la française designed by Le Nôtre. The lucky winner will find a chocolate sculpture. If you're lucky enough to spend Easter in France you'll notice a lot of wonderful window displays of grandiose chocolate sculptures. Chocolatiers stop at nothing in creating extraordinary detailed sculptures of fish, rabbits, chicken, eggs, etc. These creations are not only too pretty to eat, but when you shake them they rattle due to the little pieces of chocolate inside. It rained for most of the time we were there, which did not put a damper on things because let's be real...Paris is gorgeous in the rain. The clouds cleared up on Easter Sunday. We woke up early to catch the sunrise on the Seine and capture a few photos of one of my favorite spots, Place Dauphine, before attending the 8 o'clock mass at Notre-Dame. We assumed it would be crowded, but I guess 8am was to early for most. 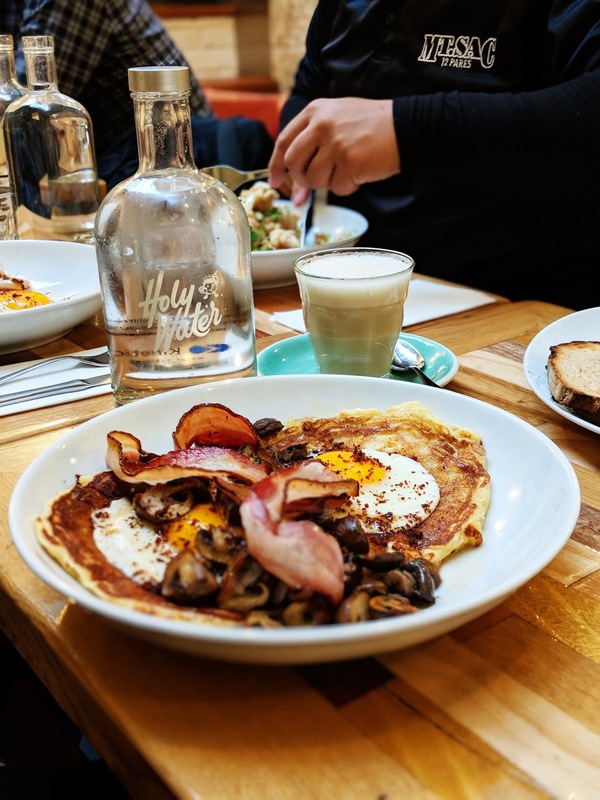 After mass, we decided to have Easter brunch at one of our favorite spots, HolyBelly, located in the 10th arrondissement. Since our daughters did not come with us to Paris, we shopped for chocolates to take back home. Now, these types of magnificent chocolate sculptures are part of our Easter family tradition even when we're not in Paris.